Quality Stair Corporation was established 12 years ago. We are located in Miami, FL. Our company is licensed and insurance. 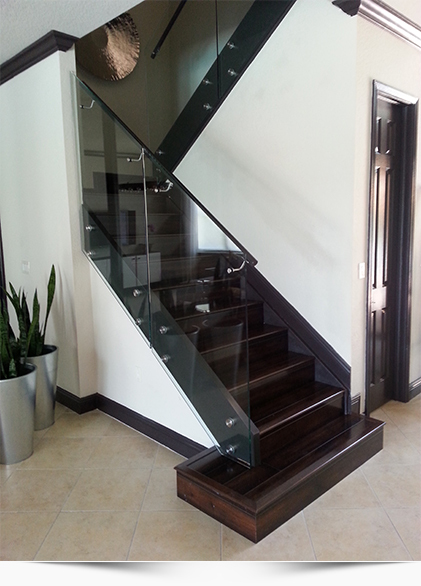 Quality Stair Corp business is specialized in modern railings and stairs designs using stainless steel and glass systems. We also build railings and stairs using Iron and wood products components. Our company works with commercial and residential projects. Our service reaches all around Miami Dade and Broward County. Quality Stair Corporation ensures that all our customers receive top quality service. We build your railings based on your ideas! Quality Stair Corporation believes that when making an investment in installing a new staircase you want to make sure you talk to the Experts before you make any commitment. A well designed good looking and functional staircase will provide a lifetime of service and increase the value of your residence or commercial premises.